ST. MARY’S SPRING CLEAN: is on Saturday 30 March from 9.00 am until 12.30 pm at the Church. Cleaning will be inside and outside the church and all are welcome to come and help. Please bring your own equipment and gardening tools, refreshments will be provided. 61 CLUB EASTER COFFEE MORNING: takes place on Saturday 30 March from 10.00 am until 12 noon in the Parish Room. There will be the main raffle, Easter Egg raffle, tombola, produce stall (cakes, preserves, plants etc), bric-a-brac and books. Any donations will be very gratefully accepted on the morning or beforehand. The money raised goes towards subsidising the Club’s Christmas meal and outings. BALCOMBE CLUB: there are still a few tickets left for Steve Crane’s gourmet Mother’s Day meal on Sunday 31 March. Call 811226 to book. On Saturday 13 April Shola Kaye brings Diana Ross to the Victory Hall stage – a fantastic night of Motown for everyone to dance to. Tickets £10 in advance, £14 on the night. See in Club for details, or on the website. HALF MOON – The pub is also offering a Mothers’ Day meal call 811582 to book. Look out too for the Curry Nights which are on Thursdays twice a month. AGE UK are in the Forest Room of the Balcombe Club welcoming all over 50s from 10.00 – 12.30 pm every Monday. 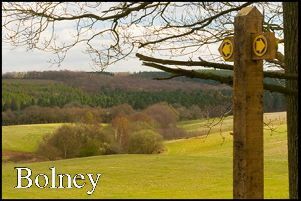 BALCOMBE HISTORY SOCIETY: has its AGM on Wednesday 3 April at 8.00 pm in the Victory Hall. Following the AGM Tony Perkins will present ‘A BALCOMBE BOMBER BOY’, the illustrated wartime story of David Fellowes, who was a Lancaster rear gunner. We plan to start promptly at 8pm, in the Victory Hall. Entrance is £1 for members, £3 for visitors, and includes refreshment.